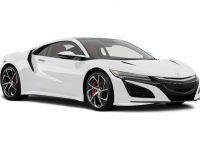 Always Unbeatable Acura Auto Lease Deals at Car Leasing Brooklyn! Nothing says luxurious precision like an Acura, and if you’re in the market for a new Acura lease, we have everything you need to achieve the best deal possible. 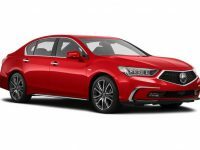 At Car Leasing Brooklyn, we have spectacular prices for the leasing of all recent Acura models, like the ILX Hybrid Sedan, the MDX SUV, the TSX Sport Wagon and the NSX Coupe. No matter the type of Acura you want to lease, you can rest assured that Car Leasing Brooklyn will get you the best deal possible, every time! We’re proud to serve our customers and to help you achieve unbelievably great lease terms. 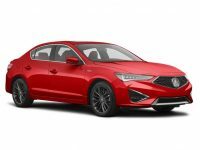 Call us today at 718-307-5639 and ask what sort of Acura deals we have available. Whatever your current credit history or financial situation, we’ll do our best to work with you. You deserve the resplendent luxury of an Acura lease, and Car Leasing Brooklyn will do everything in our power to make sure that you can drive away in style! Have you considered an Acura vehicle recently? Are you locked in an unfavorable lease? Not only can Car Leasing Brooklyn help you to extricate yourself from the entanglement of a bad lease, we can also offer amazing auto leasing deals. We like to witness the sheer wonderment on our customers’ faces when they realize that they, too, can drive away in a spectacular new Acura. We want to help you achieve car leasing success! Call us today to learn about our great selection of auto lease deals on Acura models. Perhaps you have envisioned the way your life might be improved were you to find yourself behind the wheel of the TSX Sedan, RLX Hybrid, TL Sedan or the ILX Sedan, or many others. Regardless of the state of your Acura predilection, you too can escape the confines of a bad lease and emerge the driver of a spectacular new vehicle. Call Car Leasing Brooklyn today! You will be glad that you did – we guarantee! When you are confronted with the drab monotony of modern life, you learn to seize an opportunity for splendor and joy when it emerges. As such, you should not pass up these amazing Acura deals. 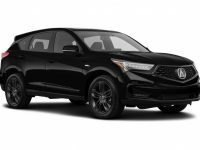 At Car Leasing Brooklyn, we can ensure that you’ll receive unbeatable options on Acura vehicles. No matter the model, we can help you to secure a great leasing deal that will leave your budget better off than you’d ever imagined. We have faced the same conundrum: how to escape an unfavorable lease and enter the world of the spectacular deals now on offer in today’s credit markets. We can help you! We want to be the ones to assist you in securing amazing auto leasing deals. We’ll help you get the keys to a RLX Sedan, a RDX SUV, or a TLX Sedan. No one can beat us when it comes to Acura deals. We are the market leaders and we want to make you the beneficiaries of our largesse. Call us today to learn more about our immense offering of auto lease deals! Car Leasing Brooklyn is the way to go.